Medallion of Christ from Constantinople, c. 1100. In 1054, following the death of the Patriarch of Rome Leo IX, papal legates (representatives of the Pope) from Rome traveled to Constantinople to deny Michael Cerularius, the reigning Patriarch of Constantinople, the title of Ecumenical Patriarch and to insist that he recognize the Church of Rome's claim to be the head and mother of the churches. Cerularius refused, resulting in the leader of the contingent from Rome excommunicating Cerularius and the legates in turn being excommunicated by Constantinople. Though this event, in and of itself, was relatively insignificant (and the authority of the legates in their actions was dubious) it ultimately marked the end of any pretense of a union between the eastern and western branches of the Church. Though efforts were made at reconciliation at various times, they remained divided, each claiming to be the true Christian Church. The first major phase of the struggle between Church and state in medieval Europe was marked by the Investiture Controversy between emperor and Pope over the right to make church appointments. The Papacy were the initial victors, but as Italians divided between Guelphs and Ghibellines in factions that were often passed down through families or states until the end of the Middle Ages, the dispute gradually weakened the Papacy, not least by drawing it into politics. In 1059 the Church attempted to control, or exact a price for, most marriages among the great by prohibiting marriages involving consanguinity (blood kin) and affinity (kin by marriage) to the seventh degree of relationship. Under these rules, almost all great marriages required a dispensation. The rules were relaxed to the fourth degree in 1215. Bishops collected revenues from estates attached to their bishopric. Noblemen who held lands hereditarily passed those lands on within their family. However, because bishops had no legitimate children, when a bishop died it was the king's right to appoint a successor. So, while a king had little recourse in preventing noblemen from acquiring powerful domains via inheritance and dynastic marriages, a king could keep careful control of lands under the domain of his bishops. Kings would bestow bishoprics to members of noble families whose friendship he wished to secure. Furthermore, if a king left a bishopric vacant, then he collected the estates' revenues until a bishop was appointed, when in theory he was to repay the earnings. The infrequence of this repayment was an obvious source of dispute. The Church wanted to end this lay investiture because of the potential corruption, not only from vacant sees but also from other practices such as simony. Pope Gregory VII issued the Dictatus Papae, which declared that the Pope alone could appoint or depose bishops or translate them to other sees. Henry IV's rejection of the decree lead to his excommunication and a ducal revolt; eventually Henry received absolution after dramatic public penance barefoot in Alpine snow and cloaked in a hairshirt, though the revolt and conflict of investiture continued. Likewise, a similar controversy occurred in England between King Henry I and St. Anselm, Archbishop of Canterbury, over investiture and ecclesiastical revenues collected by the king during an episcopal vacancy. The English dispute was resolved by the Concordat of London in 1107, where the king renounced his claim to invest bishops but continued to require an oath of fealty from them upon their election. This was a partial model for the Concordat of Worms (Pactum Calixtinum), which resolved the imperial investiture controversy with a compromise that allowed secular authorities some measure of control but granted the selection of bishops to their cathedral canons. As a symbol of the compromise, lay authorities invested bishops with their secular authority symbolised by the lance, and ecclesiastical authorities invested bishops with their spiritual authority symbolised by the ring and the staff. With the division and decline of the Carolingian Empire, notable theological activity was preserved in some of the Cathedral schools that had begun to rise to prominence under it – for instance at Auxerre in the 9th century or Chartres in the 11th. Intellectual influences from the Arabic world (including works of classical authors preserved by Islamic scholars) percolated into the Christian West via Spain, influencing such theologians as Gerbert of Aurillac, who went on to become Pope Sylvester II and mentor to Otto III. (Otto was the fourth ruler of the Germanic Ottonian Holy Roman Empire, successor to the Carolingian Empire). With hindsight, one might say that a new note was struck when a controversy about the meaning of the eucharist blew up around Berengar of Tours in the 11th century: hints of a new confidence in the intellectual investigation of the faith that perhaps foreshadowed the explosion of theological argument that was to take place in the 12th century. One of the major developments in monasticism during the 11th century was the height of the Cluniac reforms, which centered upon Cluny Abbey in Burgundy, which controlled a large centralized order with over two hundred monasteries throughout Western Christendom. Cluny championed a revived Papacy during this century and encouraged stricter monastic discipline with a return to the principles of the Benedictine Rule. Cluny Abbey promoted art and literature, and the liturgy at the Romanesque abbey church was an ornate formal affair dedicated to glorifying God. 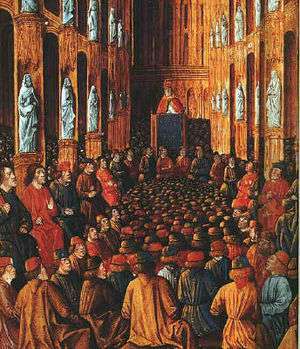 Together with the revived Papacy, Cluny worked for greater devotion among men in the Church. Towards the end of the 12th century, the wealth and power of Cluny was criticized by many monastics in the Church, especially those that broke from the Cluniac order to form the Cistercians, who devoted themselves with much greater rigor to manual labor and severe austerity. The spread Christianity was reversed temporarily in Poland, as the pagan reaction in Poland saw many churches and monasteries burned, and priests killed. Scandinavia was the last part of Germanic Europe to convert and most resistant. From the High Middle Ages, the territories of Northern Europe were gradually converted to Christianity under German leadership and made into nation states under the Church's guidance, finalized in the Northern Crusades. Later, German and Scandinavian noblemen extended their power to Finnic, Samic, Baltic and some Slavic peoples. Migrations of peoples, although not strictly part of the 'Migration Age', continued beyond 1000, marked by Viking, Magyar, Turkic and Mongol invasions, also had significant effects, especially in eastern Europe. Many Goths converted to Christianity as individuals outside the Roman Empire. Most members of other tribes converted to Christianity when their respective tribes settled within the empire, and most Franks and Anglo-Saxons converted a few generations later. During the later centuries following the Fall of Rome, as the Roman Church gradually split between the dioceses loyal to the Patriarch of Rome in the West and those loyal to the other Patriarchs in the East, most of the Germanic peoples (excepting the Crimean Goths and a few other eastern groups) gradually became strongly allied with the Western Church, particularly as a result of the reign of Charlemagne. The East-West Schism, or Great Schism, separated the Church into Western (Latin) and Eastern (Greek) branches, i.e., Western Catholicism and Eastern Orthodoxy. It was the first major division since certain groups in the East rejected the decrees of the Council of Chalcedon (see Oriental Orthodoxy) and was far more significant. Relations between East and West had long been embittered by political and ecclesiastical differences and theological disputes. There were doctrinal issues like the filioque clause and the authority of the Pope involved in the split, but these were exacerbated by cultural and linguistic differences between Latins and Greeks. Prior to that, the Eastern and Western halves of the Church had frequently been in conflict, particularly during the periods of iconoclasm and the Photian schism. The Orthodox East perceived the Papacy as taking on monarch type characteristics that were not in line with the church's historical tradition. The "official" schism in 1054 was the excommunication of Patriarch Michael Cerularius of Constantinople, followed by his excommunication of papal legates. Both groups are descended from the Early Church, both acknowledge the apostolic succession of each other's bishops and the validity of each other's sacraments. Though both acknowledge the primacy of the Bishop of Rome, Eastern Orthodoxy understands this as a primacy of honour with limited or no ecclesiastical authority in other dioceses. The Orthodox East perceived the Papacy as taking on monarch type characteristics that were not in line with the church's tradition. At the root of what became the Great Schism is the question of ecclesiology. The Eastern Churches maintained the idea that every local city-church with its bishop, presbyters, deacons and people celebrating the Eucharist constituted the whole Church. In this view called Eucharistic ecclesiology (or more recently holographic ecclesiology), every bishop is Saint Peter's successor in his church ("the Church") and the churches form what Eusebius called a common union of churches. This implied that all bishops were ontologically equal, although functionally particular bishops could be granted special privileges by other bishops and serve as metropolitans, archbishops or patriarchs. Early on, the ecclesiology of the Roman Church was universal in nature, with the idea that the Church was a worldwide organism with a divinely (not functionally) appointed center: the Church/Bishop of Rome. The dominant language of the West was Latin, whilst that of the East was Greek. Soon after the fall of the Western Empire, the number of individuals who spoke both Latin and Greek began to dwindle, and communication between East and West grew much more difficult. With linguistic unity gone, cultural unity began to crumble as well. The two halves of the Church were naturally divided along similar lines; they developed different rites and had different approaches to religious doctrines. Eastern Orthodoxy also observes that this canon of the Council of Ephesus in 431 explicitly prohibited modification of the Nicene Creed drawn up by the First Council of Nicaea in 325 and modified by the second Ecumenical Council in 381. Thus to change "who proceeds from the Father" to "who proceeds from the Father and the Son" (Latin "filioque" added) is rejected by the Orthodox both as illicit and doctrinally incorrect. Celibacy among Western priests (both monastic and parish), as opposed to the Eastern discipline whereby parish priests could be married men. The dispute about the authority of Roman bishops reached a climax in 1054, when Michael I Cerularius tried to bolster his position as the "Patriarch of Constantinople", seeming to set himself up as a rival of Pope Leo IX, as the Popes previously had forbidden calling Constantinople a patriarchate. The dispute ended when the Pope's legate, Cardinal Humbert, excommunicated Cerularius and, in exchange, Michael excommunicated the papal legates. It was suspected by the Patriarch that the bull of excommunication, placed on the altar of Hagia Sophia, had been tampered with by Argyros, the commander of Southern Italy, who had a drawn-out controversy with Michael I Cerularius. Although this is commonly viewed as the "Great Schism", historically the event did little to change the relationship between East and West at that time. Michael himself knew that the Pope was a prisoner of the Normans at the time that Humbert arrived, and by the time Michael was excommunicated Pope Leo had already died, voiding the papal legates of authority. Moreover, Michael did not excommunicate the Pope, nor even the Western Church, but only the papal delegation. It is probably more proper to point to the Massacre of the Latins of 1182 or the Sack of Constantinople by the Fourth Crusade in 1204 as more clear separation between the two Churches. Cerularius ordered a letter to be written to the bishop of Trani in which he attacked the "Judaistic" practices of the West, namely the use of unleavened bread. The letter was to be sent by John to all the bishops of the West, including the Pope. John promptly complied, and the letter was passed to Humbert of Mourmoutiers, the cardinal-bishop of Silva Candida, who translated the letter into Latin and brought it to the Pope, who ordered a reply to be made to each charge and a defence of papal supremacy to be laid out in a response. Michael was convinced to cool the debate and thus attempt to prevent the impending breach. However, Humbert and the Pope made no concessions and the former was sent with legatine powers to the imperial capital to solve the questions raised once and for all. Humbert, Frederick of Lorraine, and Peter, Archbishop of Amalfi arrived in April 1054 and were met with a hostile reception; they stormed out of the palace, leaving the papal response with Michael, who in turn was even more angered by their actions. The patriarch refused to recognise their authority or, practically, their existence. When Pope Leo died on April 19, 1054, the legates' authority legally ceased, but they effectively ignored this technicality. 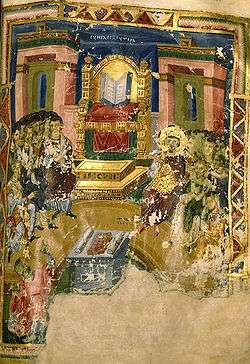 In response to Michael's refusal to address the issues at hand, the legatine mission took the extreme measure of entering the church of the Hagia Sophia during the divine liturgy and placing a Bull of Excommunication (1054) on the altar. The legates left for Rome two days after issuing the Bull of Excommunication, leaving behind a city near riot. The patriarch had the immense support of the people against the emperor, who had supported the legates to his own detriment. To assuage popular anger, the bull was burnt, and the legates were anathematised. Only the legates were anathematised and, once again, there was no explicit indication that the entire Western church was being anathematised. In the bull of excommunication issued against Patriarch Michael by the papal legates, one of the reasons cited was the Eastern Church's deletion of the "Filioque" from the original Nicene Creed. In fact, it was the opposite: the Eastern Church did not delete anything. It was the Western Church that added this phrase to the Nicene-Constantinopolitan Creed. The nobility of the Middle Ages was a military class; in the Early Medieval period a king (rex) attracted a band of loyal warriors (comes) and provided for them from his conquests. As the Middle Ages progressed, this system developed into a complex set of feudal ties and obligations. As Christianity had been accepted by barbarian nobility, the Church sought to prevent ecclesiastical land and clergymen, both of which came from the nobility, from embroilment in martial conflicts. By the early 11th century, clergymen and peasants were granted immunity from violence – the Peace of God (Pax Dei). Soon the warrior elite became "sanctified", for example fighting was banned on holy days – the Truce of God (Treuga Dei). The concept of chivalry developed, emphasising honour and loyalty amongst knights. With the advent of Crusades, holy orders of knights were established who perceived themselves as called by God to defend Christendom against Muslim advances in Spain, Italy, and the Holy Land, and pagan strongholds in Eastern Europe. This activity brought considerable wealth and power. Wealthy lords and nobles would give the monasteries estates in exchange for the conduction of masses for the soul of a deceased loved one. Though this was likely not the original intent of Benedict, the efficiency of his cenobitic Rule in addition to the stability of the monasteries made such estates very productive; the general monk was then raised to a level of nobility, for the serfs of the estate would tend to the labor, while the monk was free to study. The monasteries thus attracted many of the best people in society, and during this period the monasteries were the central storehouses and producers of knowledge. The Holy Land had been part of the Roman Empire, and thus Byzantine Empire, until the Islamic conquests of the 7th and 8th centuries. Thereafter, Christians had generally been permitted to visit the sacred places in the Holy Land until 1071, when the Seljuk Turks closed Christian pilgrimages and assailed the Byzantines, defeating them at the Battle of Manzikert. Emperor Alexius I asked for aid from Pope Urban II for help against Islamic aggression. Urban II called upon the knights of Christendom in a speech made at the Council of Clermont on 27 November 1095, combining the idea of pilgrimage to the Holy Land with that of waging a holy war against infidels. The First Crusade captured Antioch in 1099 and then Jerusalem. A traditional numbering scheme for the crusades totals nine during the 11th to 13th centuries. Krak des Chevaliers was built in the County of Tripoli by the Knights Hospitaller during the Crusades. Elements of the Crusades were criticized by some from the time of their inception in 1095. 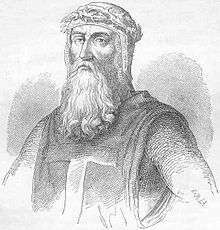 For example, Roger Bacon felt the Crusades were not effective because, "those who survive, together with their children, are more and more embittered against the Christian faith." In spite of such criticism, the movement was widely supported in Europe long after the fall of Acre in 1291. It is necessary to look for the origin of a crusading ideal in the struggle between Christians and Muslims in Spain and consider how the idea of a holy war emerged from this background. The Siege of Antioch, from a medieval miniature painting, during the First Crusade. The origins of the Crusades lie in developments in Western Europe earlier in the Middle Ages, as well as the deteriorating situation of the Byzantine Empire in the east caused by a new wave of Turkish Muslim attacks. The breakdown of the Carolingian Empire in the late 9th century, combined with the relative stabilization of local European borders after the Christianization of the Vikings, Slavs, and Magyars, had produced a large class of armed warriors whose energies were misplaced fighting one another and terrorizing the local populace. The Church tried to stem this violence with the Peace and Truce of God movements, which was somewhat successful, but trained warriors always sought an outlet for their skills, and opportunities for territorial expansion were becoming less attractive for large segments of the nobility. In 1063, Pope Alexander II had given his blessing to Iberian Christians in their wars against the Muslims, granting both a papal standard (the vexillum sancti Petri) and an indulgence to those who were killed in battle. Pleas from the Byzantine emperors, now threatened by the Seljuks, thus fell on ready ears. These occurred in 1074, from Emperor Michael VII to Pope Gregory VII and in 1095, from Emperor Alexios I Komnenos to Pope Urban II. One source identifies Michael VII in Chinese records as a ruler of Byzantium (Fulin) who sent an envoy to Song Dynasty China in 1081. A Chinese scholar suggests that this and further Byzantine envoys in 1091 were pleas for China to aid in the fight against the Turks. The Crusades were, in part, an outlet for an intense religious piety which rose up in the late 11th century among the lay public. A crusader would, after pronouncing a solemn vow, receive a cross from the hands of the Pope or his legates and was thenceforth considered a "soldier of the Church". This was partly because of the Investiture Controversy, which had started around 1075 and was still on-going during the First Crusade. As both sides of the Investiture Controversy tried to marshal public opinion in their favor, people became personally engaged in a dramatic religious controversy. The result was an awakening of intense Christian piety and public interest in religious affairs, and was further strengthened by religious propaganda, which advocated Just War in order to retake the Holy Land from the Muslims. The Holy Land included Jerusalem (where the death, resurrection and ascension into heaven of Jesus took place) and Antioch (the first Christian city). Another factor that contributed to the change in Western attitudes towards the East came in 1009, when the Fatimid Caliph al-Hakim bi-Amr Allah ordered the destruction of the Church of the Holy Sepulchre. In 1039 his successor, after requiring large sums be paid for the right, permitted the Byzantine Empire to rebuild it. 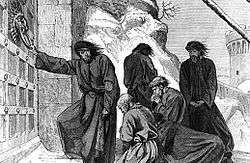 Pilgrimages were allowed to the Holy Lands before and after the Sepulchre was rebuilt, but for a time pilgrims were captured and some of the clergy were killed. The Muslim conquerors eventually realized that the wealth of Jerusalem came from the pilgrims; with this realization the persecution of pilgrims stopped. However, the damage was already done, and the violence of the Seljuk Turks became part of the concern that spread the passion for the Crusades. While the Reconquista was the most prominent example of European reactions against Muslim conquests, it is not the only such example. The Norman adventurer Robert Guiscard had conquered Calabria in 1057 and was holding what had traditionally been Byzantine territory against the Muslims of Sicily. The maritime states of Pisa, Genoa and Catalonia were all actively fighting Islamic strongholds in Majorca freeing the coasts of Italy and Catalonia from Muslim raids. Much earlier, the Christian homelands of Syria, Lebanon, Palestine, Egypt, and so on had been conquered by Muslim armies. This long history of losing territories to a religious enemy created a powerful motive to respond to Byzantine Emperor Alexius I's call for holy war to defend Christendom and to recapture the lost lands starting with Jerusalem. The Papacy of Pope Gregory VII had struggled with reservations about the doctrinal validity of a holy war and the shedding of blood for the Lord and had, with difficulty, resolved the question in favour of justified violence. More importantly to the Pope, the Christians who made pilgrimages to the Holy Land were being persecuted. Saint Augustine of Hippo, Gregory's intellectual model, had justified the use of force in the service of Christ in The City of God, and a Christian "just war" might enhance the wider standing of an aggressively ambitious leader of Europe, as Gregory saw himself. The northerners would be cemented to Rome, and their troublesome knights could see the only kind of action that suited them. Previous attempts by the church to stem such violence, such as the concept of the "Peace of God", were not as successful as hoped. To the south of Rome, Normans were showing how such energies might be unleashed against both Arabs (in Sicily) and Byzantines (on the mainland). A Latin hegemony in the Levant would provide leverage in resolving the Papacy's claims of supremacy over the Patriarch of Constantinople, which had resulted in the Great Schism of 1054, a rift that might yet be resolved through the force of Frankish arms. In the Byzantine homelands, the Eastern emperor's weakness was revealed by the disastrous defeat at the Battle of Manzikert in 1071, which reduced the Empire's Asian territory to a region in western Anatolia and around Constantinople. A sure sign of Byzantine desperation was the appeal of Alexios I to his enemy, the Pope, for aid. But Gregory was occupied with the Investiture Controversy and could not call on the German emperor, so a crusade never took shape. For Gregory's more moderate successor, Pope Urban II, a crusade would serve to reunite Christendom, bolster the Papacy, and perhaps bring the East under his control. The disaffected Germans and the Normans were not to be counted on, but the heart and backbone of a crusade could be found in Urban's own homeland among the northern French. For the first decade, the Crusaders pursued a policy that included mass executions, the throwing of severed heads over besieged cities walls, exhibition and mutilation of naked cadavers, and even cannibalism, as was recorded after the Siege of Maarat. The Siege of Antioch took place shortly before the siege on Jerusalem during the first Crusade. Antioch fell to the Franks in May 1098 but not before a lengthy siege. The ruler of Antioch was not sure how the Christians living within his city would react, and he forced them to live outside the city during the siege, though he promised to protect their wives and children from harm, while Jews and Muslims fought together. The siege only came to end when the city was betrayed and the Franks entered through the water-gate of the town causing the leader to flee. Once inside the city, as was standard military practice at the time, the Franks then massacred the civilians, destroyed mosques and pillaged the city. The crusaders finally marched to the walls of Jerusalem with only a fraction of their original forces. The Jews and Muslims fought together to defend Jerusalem against the invading Franks. They were unsuccessful though and on 15 July 1099 the crusaders entered the city. Again, they proceeded to massacre the remaining Jewish and Muslim civilians and pillaged or destroyed mosques and the city. One historian has written that the "isolation, alienation and fear" felt by the Franks so far from home helps to explain the atrocities they committed, including the cannibalism which was recorded after the Siege of Maarat in 1098. The Crusaders also tried to gain control of the city of Tyre but were defeated by the Muslims. The people of Tyre asked Zahir al-Din Atabek, the leader of Damascus, for help defending their city from the Franks with the promise to surrender Tyre to him. When the Franks were defeated the people of Tyre did not surrender the city, but Zahir al-Din simply said "What I have done I have done only for the sake of God and the Muslims, nor out of desire for wealth and kingdom." After gaining control of Jerusalem the Crusaders created four Crusader states: the Kingdom of Jerusalem, the County of Edessa, the Principality of Antioch and the County of Tripoli. Initially, Muslims did very little about the Crusader states due to internal conflicts. 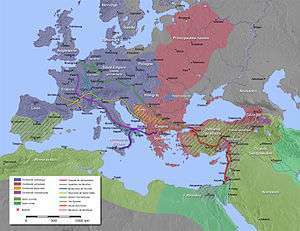 In the Kingdom of Jerusalem at most 120,000 Franks (predominantly French-speaking Western Christians) ruled over 350,000 Muslims, Jews, and native Eastern Christians. On a popular level, the first crusades unleashed a wave of impassioned, personally felt pious Christian fury that was expressed in the massacres of Jews that accompanied the movement of the Crusader mobs through Europe, as well as the violent treatment of "schismatic" Orthodox Christians of the east. During many of the attacks on Jews, local bishops and Christians made attempts to protect Jews from the mobs that were passing through. Jews were often offered sanctuary in churches and other Christian buildings. 1015 - Russia is said to have been "comprehensively" converted to the Orthodox faith; Olaf II Haroldsson becomes the first king of the whole of Norway. Over the next 15 years he would organize Norway's final conversion and its integration into Christian Europe. ↑ Cross, F. L., ed. (2005). The Oxford Dictionary of the Christian Church. New York: Oxford University Press. ↑ Extracts from the Acts of the Council of Ephesus. The creed quoted in the Acts of the Council of Ephesus (the Third Ecumenical Council) is that of the first Ecumenical Council, not the creed as modified by the second Ecumenical Council, and so does not have additions such as "who proceeds from the Father" (ibidem). ↑ Emmanuel Clapsis. "Papal primacy". Greek Orthodox Archdiocese of America. Archived from the original on 2008-06-17. Retrieved 2008-10-16. ↑ "During the decade following the death of the Prophet Muhammad in 632, his followers captured three of the five 'patriarchates' of the early church – Alexandria, Antioch, and Jerusalem – leaving only Rome and Constantinople, located at opposite ends of the Mediterranean and, eventually, also at opposite ends of the Schism of 1054" (Encyclopædia Britannica). ↑ Norwich, John J. (1967). The Normans in the South 1016–1130. p. 102. 1 2 Norwich, John J. (1992). Byzantium, The Apogee. pp. 320–321. ↑ Riley-Smith, Jonathan. The Atlas of the Crusades New York: Facts on File, 1990. ISBN 0-8160-2186-4. ↑ East Asian History Sourcebook: Chinese Accounts of Rome, Byzantium and the Middle East, c. 91 B.C.E. - 1643 C.E. ↑ However, Chinese scholar Yang Xianyi states it was Melissenos Kaisar, brother-in-law of Emperor Alexios I Komnenos. ↑ Tuchman, Barbara. A Distant Mirror: The Calamitous 14th century. Alfred A. Knopf; Reissue edition. (August 1978) 279. ISBN 0-394-40026-7. 1 2 Arab Historians of the Crusades, trans. F. Gabrieli, trans. E. J. Costello. London: Routledge and Kegan Paul, 1984. 1 2 Trumpbour, John. "Crusades." In The Oxford Encyclopedia of the Islamic World. , edited by John L. Esposito. Oxford Islamic Studies Online, http://www.oxfordislamicstudies.com/article (accessed February 17, 2008). ↑ "Crusades" In The Islamic World: past and Present. , edited by John L. Esposito. Oxford Islamic Studies Online, http://www.oxfordislamicstudies.com/article (accessed February 17, 2008). ↑ Benjamin Z. Kedar, "The Subjected Muslims of the Frankish Levant", in The Crusades: The Essential Readings, ed. Thomas F. Madden, Blackwell, 2002, p.244. Originally published in Muslims Under Latin Rule, 1100–1300, ed. James M. Powell, Princeton University Press, 1990. Kedar quotes his numbers from Joshua Prawer, Histoire du royaume latin de Jérusalem, tr. G. Nahon, Paris, 1969, vol. 1, pp.498, 568-572.